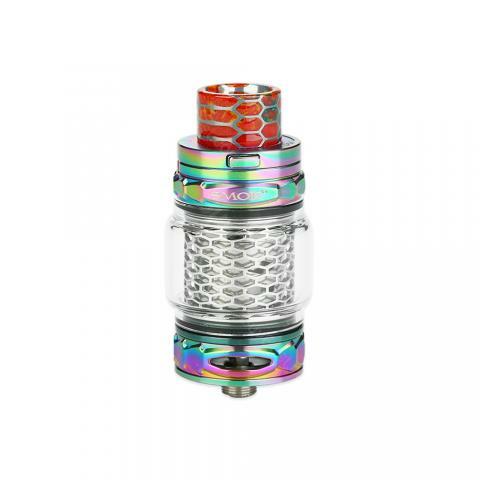 SMOK TFV12 Prince Tank Cobra Edition is an upgrade version of SMOK TFV12 Prince Tank, includes cobra mesh and mesh coils, which make this tank more stable and stylish, like a great masterpiece with the snakelike patterns carved. 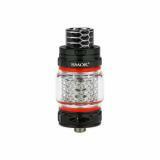 SMOK TFV12 Prince Tank Cobra Edition is an upgrade version of SMOK TFV12 Prince Tank, includes cobra mesh and mesh coils, which make this tank more stable and stylish, like a great masterpiece with the snakelike patterns carved. The 7ml or 2ml different capacity will suit multiple kinds of need. 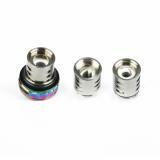 What's remarkable, it features acrylic drip tip and bulb tube which is totally different from traditional tanks. The integrated prince mesh coil and strop coil insures to bring you pure flavor and huge clouds. TFV12 Prince Tank Cobra Edition will sure to be a powerful and unprecedented atomizer! Multiple colors for your selection! • Quick Links: Replacement coil; Cobra Mesh. Лучшее! Покупаю второй раз. Отличная цена. Очень красивый и вкусный. Богатая комплектация. Накрутил и пари. Супер! My friend just recommended this tank for me. We are so lucky that it is offering a big discount. I guess this price absolutely will be affordable for vapors. I believe that I definitely cant find a better one at this price. I really love it, and it certainly will help to offer you an amazing vaping experience. Amazing, your website updates very fast, TFV12 Prince is a great tank,so I think this TFV12 Prince Tank Cobra Edition will be good, too, looking forward to it.